A preview of the new time-management tools Facebook is rolling out on Instagram. Similar tools will be available on the Facebook app. 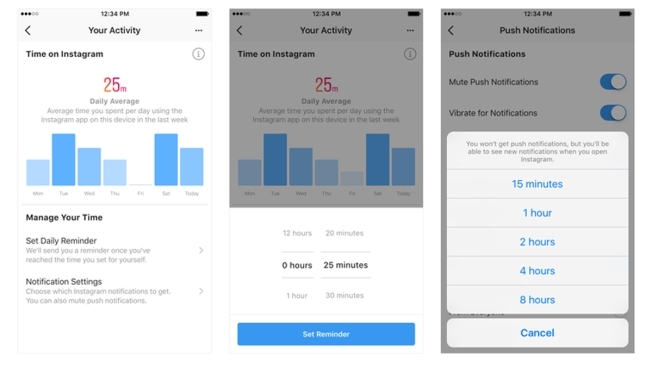 In a bid to make Facebook and Instagram more "intentional," Facebook is giving users more ways to manage how much time they spend on the apps. Upcoming versions will give users a way to check how much time they've been thumbing through Facebook and Instagram on their device through a dashboard that displays the average amount of time they spend on the apps. Users will also be able to set a reminder for when they've been using the app for a certain amount of time, like 30 minutes, and turn off notifications for a period of 15 minutes, 1 hour or longer. "We want the time people spend on Facebook and Instagram to be intentional, positive and inspiring. Our hope is that these tools give people more control over the time they spend on our platforms and also foster conversations between parents and teens about the online habits that are right for them," two Facebook executives wrote in a blog post announcing the changes on Wednesday. In December, Facebook acknowledged that social media can leave people feeling bad, if they "spend a lot of time passively consuming information" rather than interacting with people. Researchers have wondered whether there's a link between a recent rise in rates of suicide and social media use. A 2017 study in the journal Clinical Psychological Science found that more teens were using electronic devices like smartphones for at least five hours a day, and that those teens were 70 percent more likely to have suicidal thoughts or actions than those who reported using such devices for one hour a day. 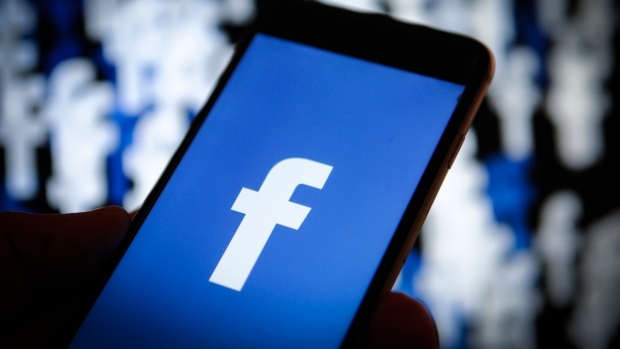 In its announcement Wednesday, Facebook pointed to other ways it's tried to help give users control their time on the platforms, like letting them prioritize or hide other users they follow on Facebook and adding a "You're All Caught Up" message to the Instagram feed. The announcement also comes a day after Facebook said it banned 32 accounts on Facebook and Instagram for taking part in a coordinated campaign to influence U.S. politics.